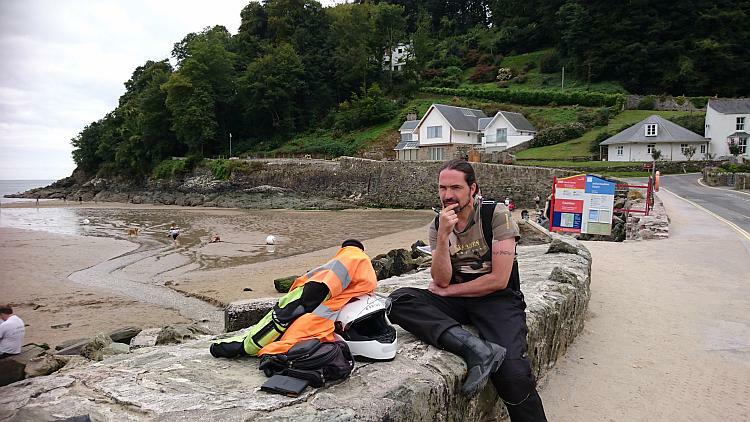 While in Devon on holiday on my bike I did something I would not have done a few years ago. Ren and I were strolling along a beach on a rather quiet cove. The sun was shining and the sea looked inviting. But I had no bikini on and no towel to dry myself etc. Therefore in the past I would have just accepted my misfortune and stood at the shoreline berating myself for not being prepared for all circumstances and eventualities. 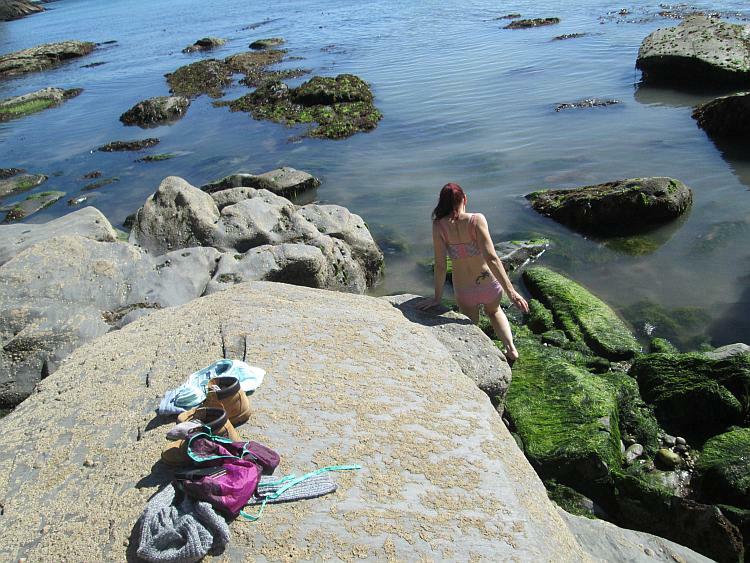 However on this day I simply stripped down to my underwear and took a dip. Why? What's changed? Why could I do this today if not on another yesterday? It's a confidence thing to dive into life or tip toe into the sea. I was a quiet rather shy child but became a confident, self assured teenager. I then became a wife and a mother and somehow along the way lost my newly found confidence. I became hesitant and unsure, even probably rather nervous. There came a point when I finally realised how much of myself I had lost and desperately wanted the confident me back. The me I used to be finally got a chance to re-emerge after my divorce. But that metamorphosis was not complete until something special came into my life. That special something was a small little 125cc Keeway RKS motorbike called Zen. Made for one another, small finds small. Learning to ride was hard for me, I was no natural but I was determined. It was that determination that brought fourth my own self belief. To make my riding a success I had to have confidence in my own ability, I had to have confidence in my own self. The long talks I had to have with myself about riding began to spill over into my normal everyday life. I had to tell myself while riding just to enjoy the good times and not dwell on the mistakes I had made. To not measure my own success by other's achievements. I had to learn to kick the T off the word can't and therefore make it into can. Adopting a can do attitude to riding transformed my riding and I guess it helped transform me in the process. Learning to ride and learning to be confident at the same time. 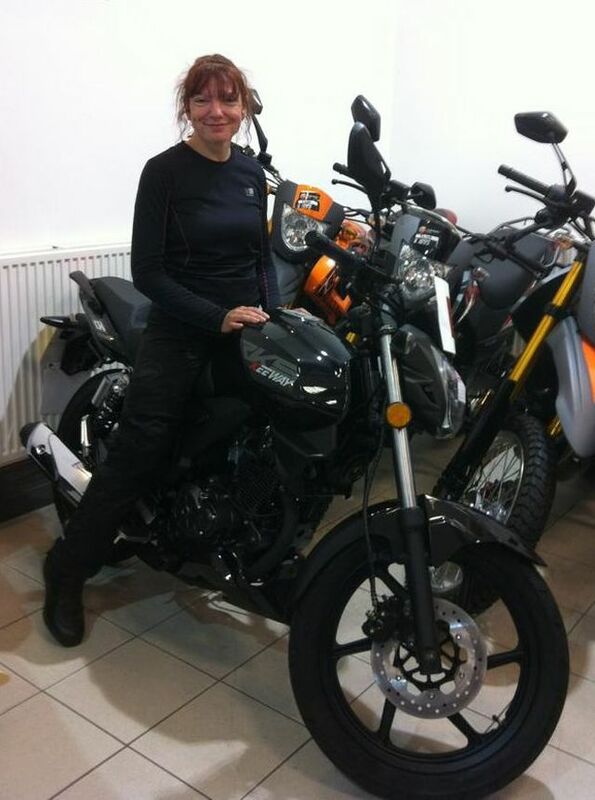 I had to learn not to care what others thought of my choice of bikes because they are only small. I had to have the self assurance that I was riding the bike that was right for me at that time. So what if people think I ride a 250cc because I am scared and lack ability. 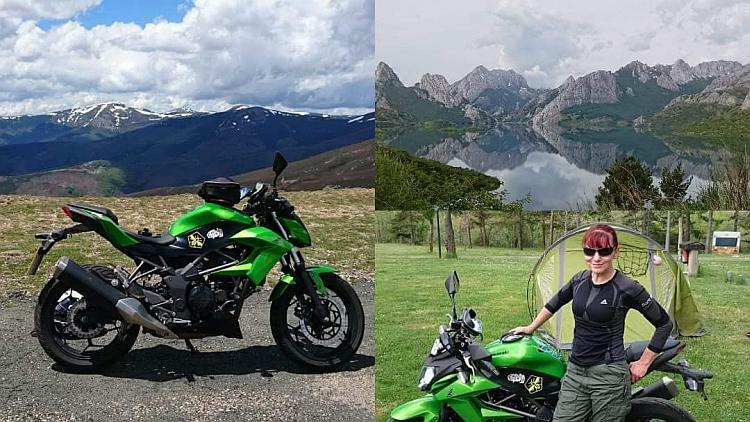 I knew as I rode my Kawasaki Z250SL Envy across the Picos mountains in Spain that I neither lacked ability nor guts. Sure I was scared but isn't doing something even though we are scared I greater sign of bravery than doing a thing with no fear at all? Such as riding steep hills and switchbacks. The idea was mind numbingly terrifying to me. The reality though still scary was achievable and what a amazing feeling that achievement brings when we conquer our fears. How can we not feel strong and mighty when we look fear in the face and push it aside. The point being by becoming a confident biker I became a more confident person overall. My bikes have taken me on wonderful adventures, across landscapes that fill me with awe. But they have also changed my inner landscape too from a uncertain winter to a bountiful harvest. I have reaped the benefits of learning to ride tenfold in my my actual life as a whole. 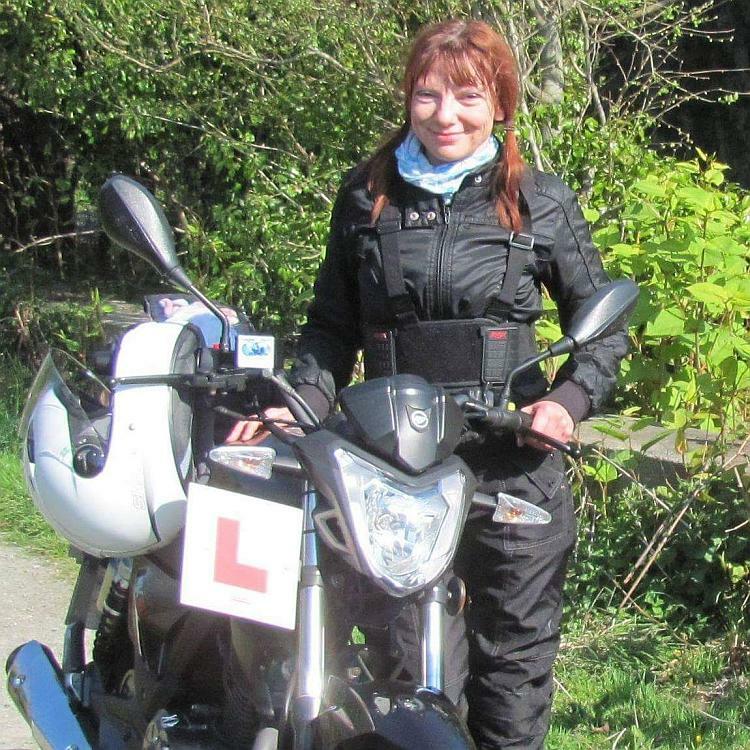 By becoming a confident biker I became a confident woman. The kind of woman I am now content and happy to be. The kind of woman who will stroll to the beach and strip to her bra and knickers to walk into the sea because she wants to. The kind of woman who learned through her biking to adopt a can do attitude. A woman who found out that her inner fear is often far greater than the reality. My bikes have given me so much. They have kept me sane through some dark days. The best therapy, the most successful way to rest my mind is through riding. Riding a motorcycle has also given me freedom of spirit, a strength of character, and sense of achievement and confidence I am proud of. 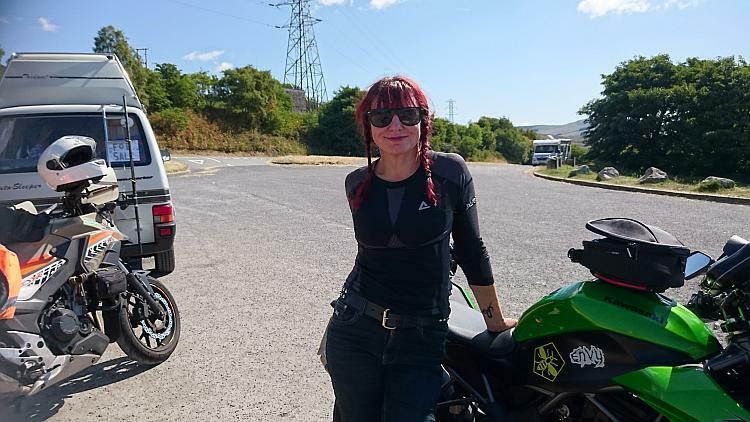 I am at the age of 47 the biker I always wanted to be (new experiences, skills, abilities not withstanding) and I am happy to say I am happy to be just me. For me my bikes have opened up a whole new world to me both physically and mentally. Long may this adventure continue. This story would have not been possible without the help and support of 3 very important people in my life. REN - My gorgeous boyfriend - for teaching me how to ride. For having the patience of a saint when I was so very slow at learning and smiling at all my mistakes. For encouraging me on all the way and pushing me when I needed a push. 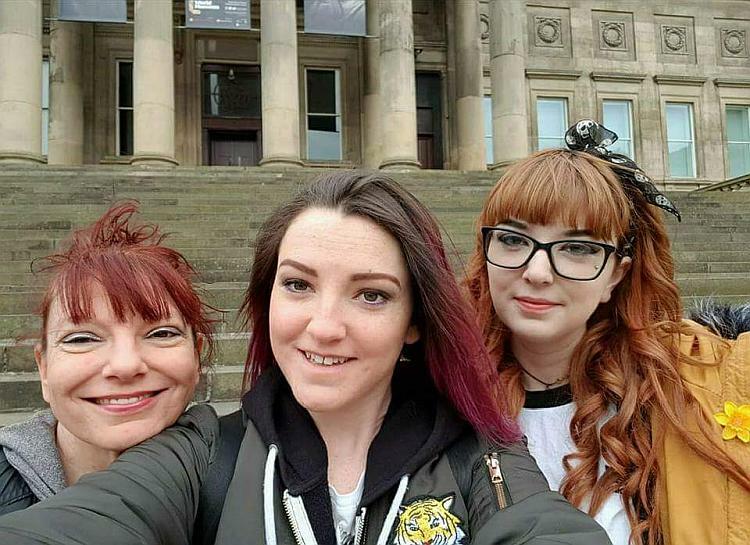 BETHANY and MEGAN - my beautiful daughters. For never minding that their mother disappears most weekends on her bike and understanding how much it means to me and how beneficial it has been to my life. It also would have not been possible without the two bikes in my life. 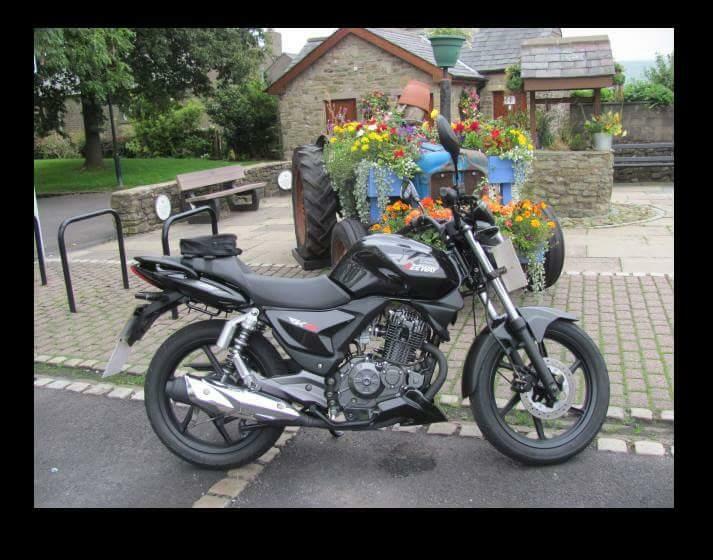 ZEN - My China Man - Keeway RKS 125 cc. Who was low enough for me to get my feet down and kept going despite me keep dropping him. We were made for one another. He will forever be my first bike love. 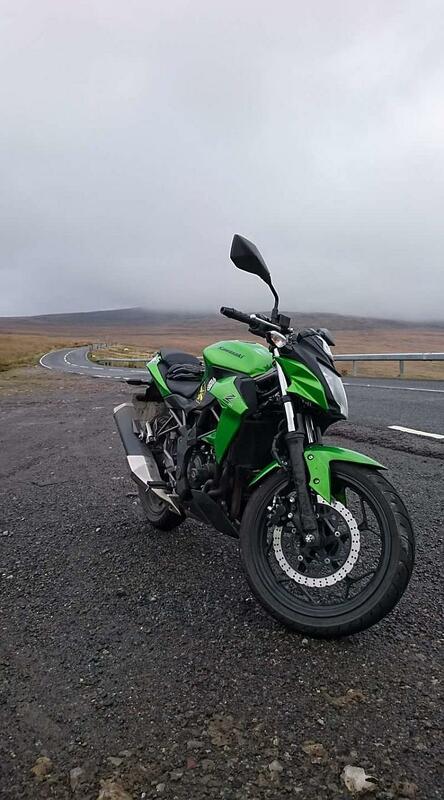 ENVY - My lean green racing machine - Kawasaki Z250SL. Who has made motorway travel a breeze and continues to expanded my horizons and teach me new lessons. She shows that small can me mighty. Excellent as always Sharon. A delight to read. Quite, but I'm not sure I agree that the sea looks inviting. Devon? In September? Brrrrrr. I went in up to my knees CrazyFrog. It was cool but by no means as cold as the UK waters usually are. Refreshing rather than downright bracing I'd say. Thank you Sharon, what an inspiring read on a Sunday night, with work looming tomorrow. Cheering and positive. The thing about biking is the balance you achieve as you progress.